Wikipedians see editing articles as their craft. As anyone who takes pride in their craft knows, a well-equipped tool belt can make a difference. Time to look at some tools related to Wikidata that may help you in your everyday life on Wikipedia. Wikidata, the free knowledge base, is an essential repository in the ecosystem of Free Knowledge and was built (among other things) to make the life of Wikipedians easier. It contains facts and figures on many items that also have Wikipedia articles. 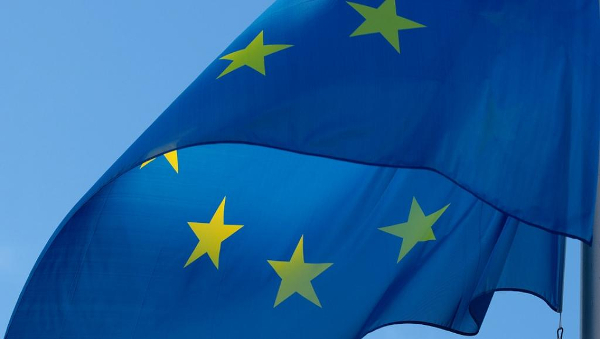 Stored in a multilingual way, it can be used to fill infoboxes on Wikipedia article pages, give a short summary of the topic of the article, and link to the article in other languages. However, Wikidata can be overwhelming at times. Wikipedians like to build watchlists of articles they are working on and look at the log of changes. In earlier versions of the watchlist, all the changes in Wikidata where shown, sometimes cluttering the article watchlist with information that was not even used in the article. We cleaned up the watchlist substantially. Now the things you’ll see are relevant to the article (and they are prepended with a D if they come from Wikidata). You can even show them in a different color! The example below is from the German Wikipedia, but the new watchlist is also available on all other wikis as a beta feature that you have to activate manually. Showing Wikidata in your watchlist, however, is not a beta feature. You can check that field in your watchlist settings right away! If watchlists and recent changes are too much, there is also the Wikidata vandalism dashboard. You can use it to patrol Wikidata edits for all languages you know. Descriptions of items are shown in the Wikipedia mobile app, sometimes making it a target for vandals. Vandalism in this area may go unnoticed for a while and sometimes gets fixed by another reader which is suboptimal, to say the least. With the vandalism dashboard, we make sure that no problematic edit goes unnoticed for a long time. The Wikidata vandalism dashboard uses ORES, the service that uses machine learning for vandalism detection on Wikimedia projects. The dashboard allows you see unpatrolled edits related to a language in Wikidata and marks questionable edits. At a glance, you can see which recent edits may be vandalism and click through them quickly — of course, the final decision of what is vandalism should be made by a human, not an artificial intelligence. For smaller Wikipedias like Persian, going through the dashboard twice a day is actually enough. To make sense of the what links from Wikidata to Wikipedia, it’s always a safe bet to look at the Page information of the Wikipedia article. 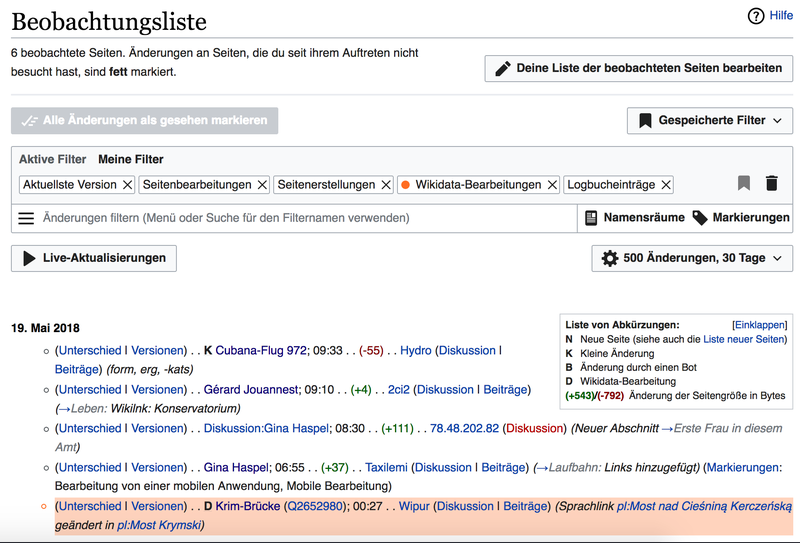 It will tell you what Wikidata item relates to the article and what content from Wikidata are being used in that article — maybe in template, such as an infobox. This can be a lot, as the excerpt from the English Wikipedia page for South Pole Telescope shows. 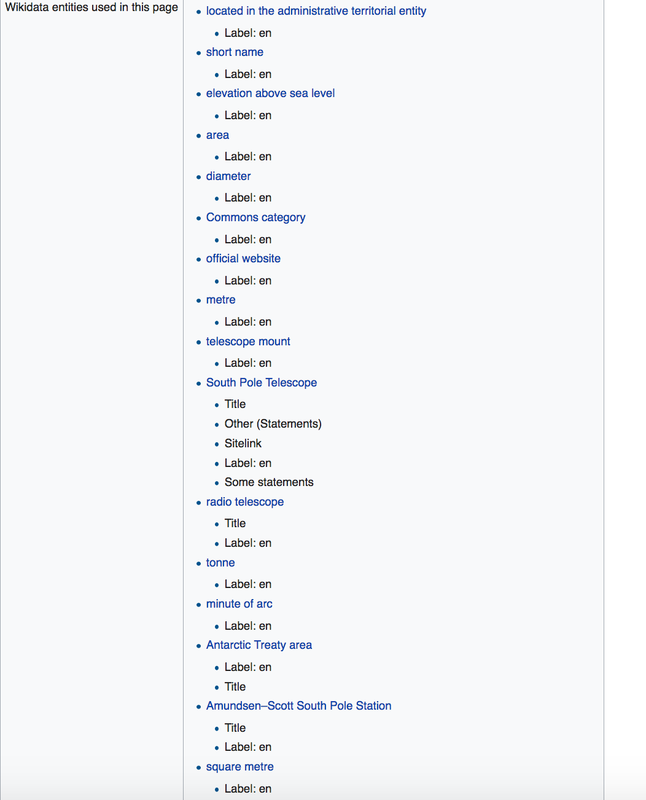 It also works in the opposite direction: Look up which Wikipedias use data from a given item by checking the Wikidata item’s Page information page. There are also several other little tools to make your life as a Wikipedian better. Let’s just have a quick look at them. The Wikidata SPARQL Recent Changes tool by Magnus Manske will give you diffs over time for items that match a SPARQL query, for instance all French painters in the first week of October 2017 with no bots edits included. There is always Listeria, also by Magnus — a much-used tool to generate lists from SPARQL queries on Wikidata to display on Wikipedia pages. You can use lists to monitor the items you are interested in and detect changes. Together, these are amazing tools for a wiki project to monitor all the changes to things that are important to them. Last, not least, there is the Wikidata Concepts Monitor, a sophisticated tool for data science that gives you a glimpse into the life of Wikidata. In addition there are a lot of data quality tools that are in use on Wikidata itself that you might find useful. The most important one of them are constraints. They allow editors to define rules on the data (like “someone’s date of birth and date of death should not be apart more than 120 years” — unless they are a time traveler, of course). When you then come across a statement that violates one of those constraints you will see a little note alerting you to the issue so you can easily spot and correct it. Of course, we will continue to improve the tools and add new ones. Stay tuned for more exciting stuff. Wikidata gives Wikipedians many ways to track information and changes in a fine-grained way. Take some time to learn about the tools and make them part of your tool belt. After all, editing on Wikipedia is not much unlike good craftsmanship. We want more. There should be a filter for the changes to labels, descriptions, and langlinks in languages or charsets which user doesn’t understand.